Extra water in your lungs complicates breathing and must be removed. Water can be inhaled, as in near drowning, or it can enter by a medical lung-washing procedure called lavage. Your lungs can also fill up with water leaking from your blood stream into your lungs' air spaces, a condition called pulmonary edema, or it can leak out of your lungs into the chest cavity, a problem called pleural effusion or pleurisy. Removal methods depend on the cause. If you guzzle your water too fast, removal is as simple as a powerful cough, your lung's first and best defense against foreign substances. If you nearly drown and inhale a lot of water, it goes two ways. Some is absorbed into your blood stream, and some is either coughed out or suctioned out by medical personnel who will snake a long, thin tube, called a suction catheter, down your windpipe to the water. If you have one of the lung disorders that can progress beyond normal levels of severity and cause buildup of thick, bacteria-laden mucus, like cyctic fibrosis, bronchiectasis, or advanced, life-threatening pneumonia, your doctor might recommend a lung-washing procedure called lavage. A tube is inserted into a specific lung region and water is flushed in. Lung water removal in this procedure is simply reversing the flush and suctioning it back out along with the mucus. A suction catheter does the job. If you have certain types of heart or kidney failure your body accumulates extra water and raises your blood pressure, forcing water into your lung's air spaces, the alveoli. The condition, called pulmonary edema, can drown you in your own body fluids. Diuretic drugs remove the excess water as urine, lowering your blood pressure and drying out your lungs. Heart-strengthening drugs are also part of the water removal system. A weak heart may allow blood to back up in your lungs and fill them with water. Improving heart strength and using diuretics comprise a powerful method for removing lung water. 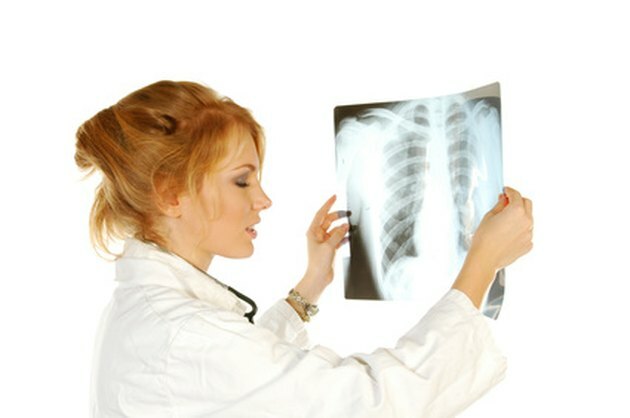 Water surrounding the lungs inside your chest cavity, a condition called pleural effusion or pleurisy, is a common condition with many causes--up to 20 percent never discovered. This fluid compresses your lungs into a small space and makes breathing difficult. The method of removal is to simply install a drain between your ribs, usually called a chest tube, by a procedure called thoracentesis. This method applies suction to draw the water out, allowing your lung to re-expand. How Much Water Do You Need if You're Retaining Fluid? Can Drinking Too Much Water Irritate the Stomach?